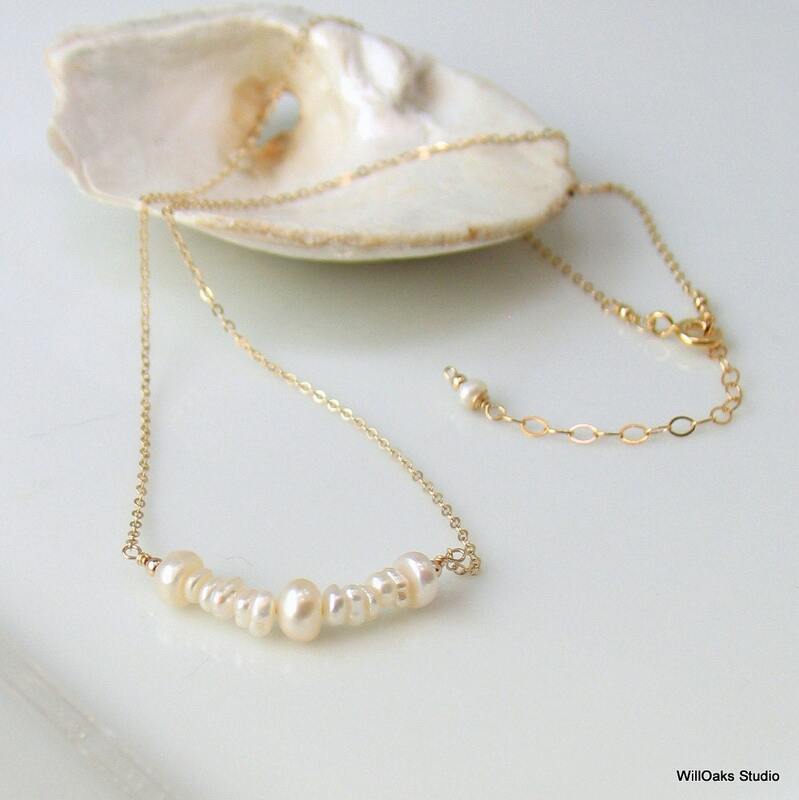 My original keishi pearl bar necklace on beautiful fine cable chain contrasts lustrous freshwater pearls and 14-20 gold filled metal details. Adjusts from 16-18" with an integrated extension chain. 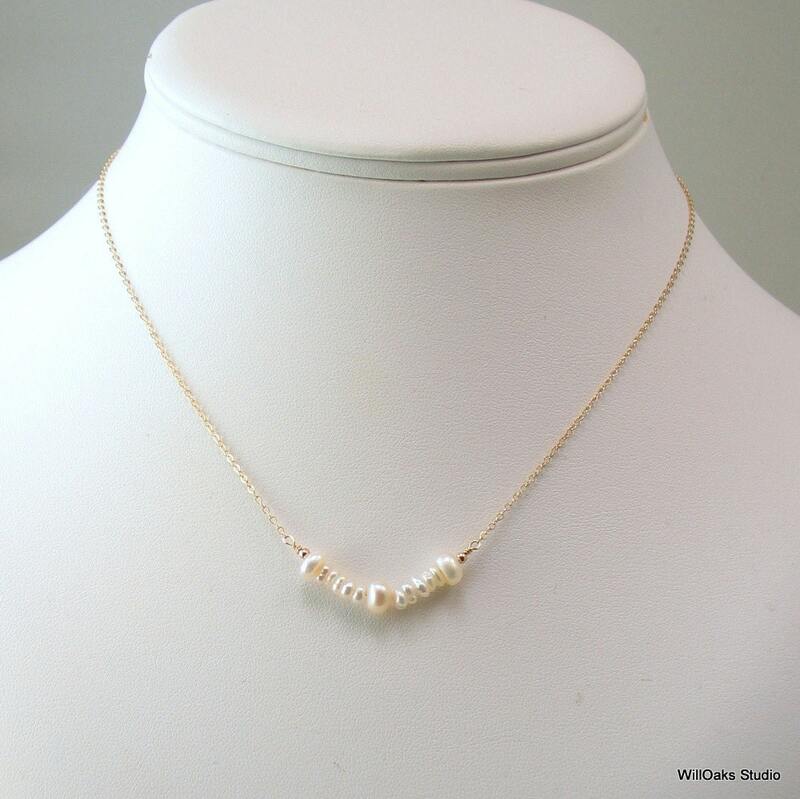 The ivory white pearl bar measures just over 1" wide and includes textured keishi pearls, and three button pearls. 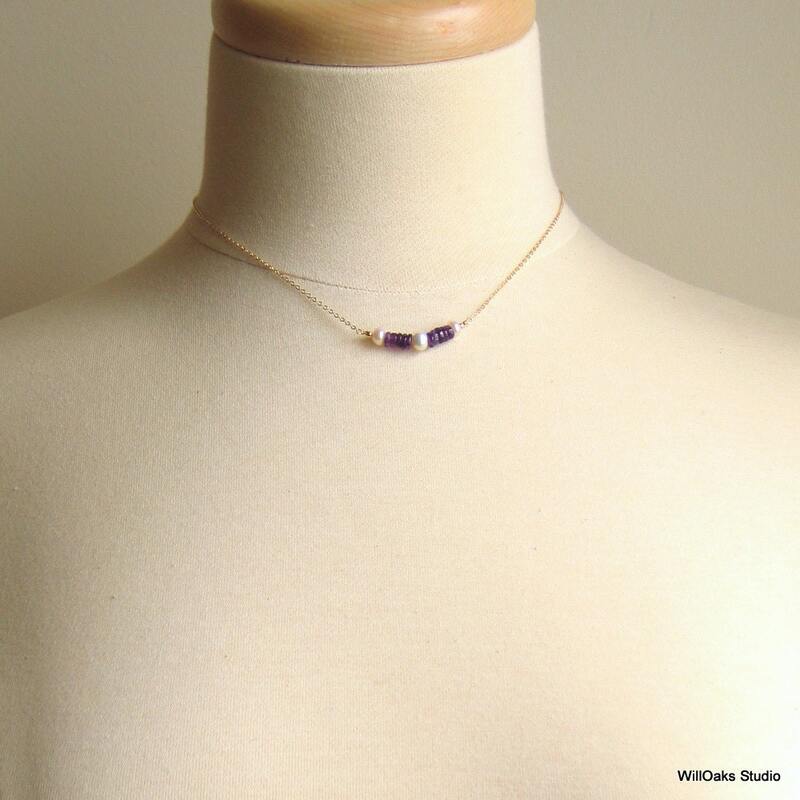 Tiny 2 mm gold filled beads and exquisite 1 mm gold filled cable chain add a delicate look to this natural design. Closes with a gold filled spring clasp anywhere along the 2" extension chain for just the right length. 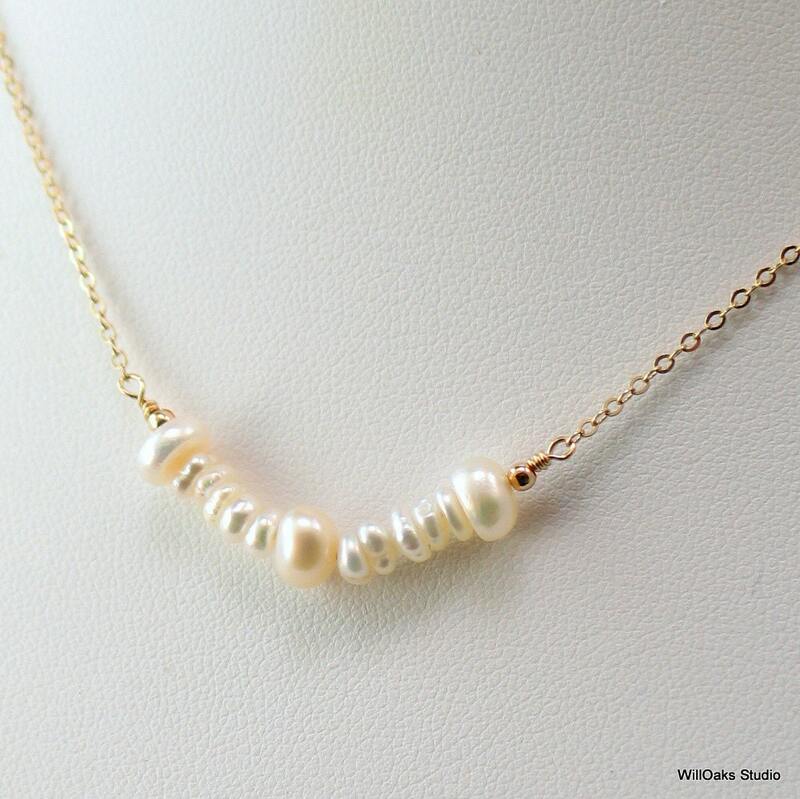 A final small pearl and gold bead drop from the end of the extension chain. 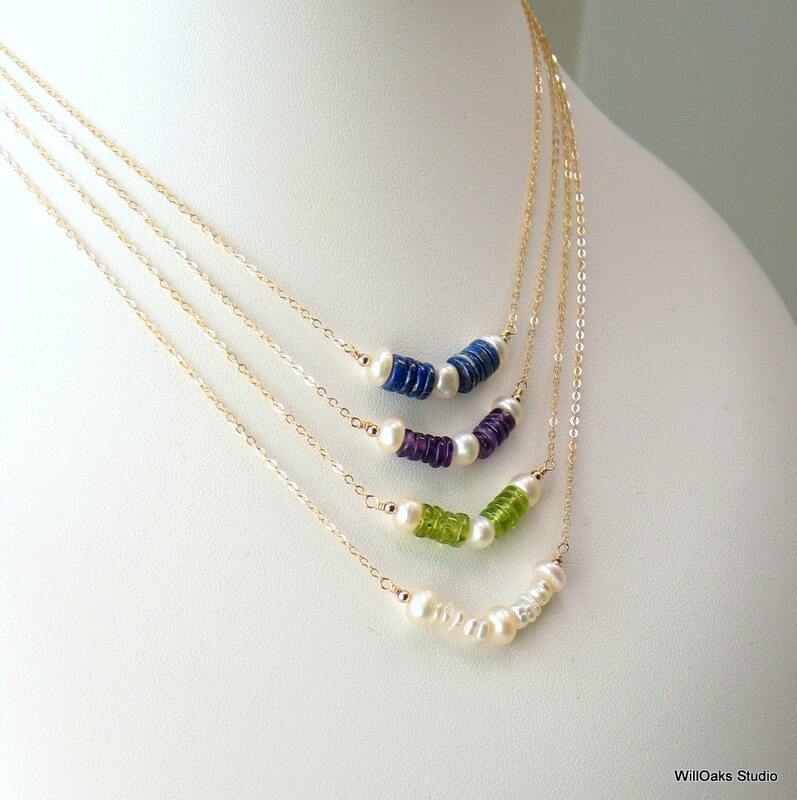 Each necklace is presented in a custom jewelry box-all ready to gift or to keep-mailed in a bubble lined envelope. Love this necklace. Absolutely gorgeous. Great customer service. Great seller. Beautiful jewelry. Thank you again.